Strala 300+Hour Advanced Leadership Training: NYC, July 2017! Get ready to move powerfully through your life and handle challenge with ease! Cost: $4,500 for complete training, $3,400 for two weeks, $1,900 for one week. $1,900 deposit reserves your spot for all three options. The remaining amount is due on 15 July 2017. Curriculum Details : What happens in a 300+Hour Advanced Leadership Training? Week 1: Movement. How you are in your body, how you move through your life. The first week focuses entirely on how we move, using the vocabularies of movement found in yoga, tai chi, and across our whole life. . We’ll learn to identify and release stress and tension from our bodies and minds, unblock our energy, and return to what’s natural in each of us, in every situation. We create a structure and practice that leads to breakthrough progress, in our way of being with our selves, and our way of moving through everything we do. Week 2: Leadership. How you move, uplift, and inspire the people around you. The second week focuses entirely on effective and inspiring leadership. We learn to create a way of being and moving, language and environment, that uplifts everyone around us to achieve progress in their own lives. Of course this applies to leading in yoga, as well as every environment we touch. Week 3: Healing. How to form a relationship with yourself and others, that elicits a wonderfully effective healing response. The third week focuses wholly on diagnosis, self-care, and healing. When we progress strongly with how we are, and how we move through and lead our own lives, there’s a prize: we become really effective at what we choose to do. And one of the greatest prizes we can share, with ourselves and others, is the ability to heal – both what’s inside us, as well as all kinds of physical ailments that come from stress and injury. Explore: How we are in everything we do. An overview of Being, Moving and Healing. Taking care of yourself, so you can take care of others. Approach: Three Elements. How to create our best yoga, through Breath, Feeling, and Natural Movement. Softening: Our ability to soften is the beginning of everything. We’re so used to living under attack – hardening, flexing, straining – when things get hard. But we have a choice. When something is hard, you can soften. You can go easier in your body and mind. And from here, when things get hard, you’re learning to release tension, rather than pile it up. Which makes you, like water, invincible. We’ll practice this art across many contexts, and open a clear path to bring it fully into your life. Process: Responsive Movement. Once we have the structure of natural movement in our bodies, we can progress to Responsive Movement – a process of tuning in, self-diagnosis, and response. We learn to direct how we move precisely for what we need, unblocking energy where it’s blocked, discovering and removing the roadblocks that begin on the inside, bringing every part of us into harmony with every other part, and of course, healing on every level. When we re-open the conversation with our bodies, we can’t help but become our own best care-givers, optimally supporting all that’s unique about us, including our capacity to achieve what we dream. Amazing things happen here. Practice: Yoga, Tai Chi, and Life. 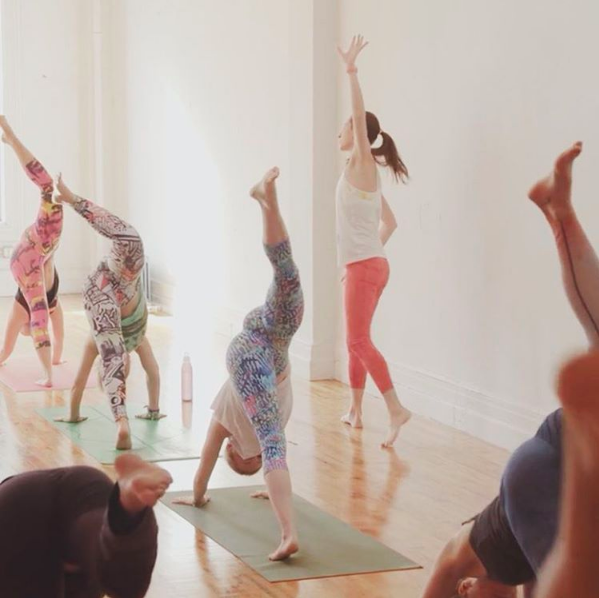 Yoga provides one vocabulary of movement that lets us connect with our bodies and minds, sense what we need, and respond. Tai chi provides a different and powerful vocabulary for new kinds of movement, to accomplish the same ends. Each moment is filled with the unexpected. When we become fluid in our movement, in our being, we’re more easily adaptable and responsive to the variety of challenges we face, and more able to accomplish what we desire. This advanced program is designed so you can put the elements together in whatever combination works best for you. Three Weeks : 500+Hour and 300+Hour Degree. This advanced program builds on top of our 200+Hour training, so you graduate with a 500+Hour Advanced Leadership degree. Or it can stand on its own as an advanced 300+Hour course. Two Weeks : 400+Hour and 200+Hour Degree. This can serve as an alternative path to our initial 200+Hour Ready-to-Lead program, if you’ve already graduated from a Strala Intensive Training. It can also provide a continuing 200 hours on top of your previous Ready-to-Lead education, so you graduate with a 400+hour degree. One Week : 300+Hour Degree and Continuing Education. This works well as continuing education, and if it’s on top of our 200+Hour Ready-to-Lead course, you graduate with a 300+Hour degree. It’s perfectly fine to take all three weeks at once, or just one or two weeks at a time. As with our 200+hour program, putting these weeks together over time works well for people, so if it’s easier for your schedule, it’s just fine with us. If you’re joining the full program, at least 270 hours are spent learning and practicing with our faculty. Outside of Intensive Hours other assignments can be done in your own time. Stay easy, have persistence and patience with yourself, and you’ll accomplish it all and more. Q: If I’m taking just one or two weeks to start, which weeks should I pick? Our program is designed so each week builds on the previous one, so that’s probably the best path to take. In Week 1, you’ll develop your ability to identify and release tension in your body and mind, moving easily through challenge with your whole self, and learning to self-diagnose and treat with your own movement – this all sets up our ability to lead, which moves into Week 2. During Week 2, you’ll navigate through connecting, understanding, leading, and inspiring the people around you. This brings you to a place where you’re able to heal others, which moves into Week 3. Of course, if you have a special reason to take these weeks in a different order, this is perfectly fine, just let us know. Q: Who can join this program? Strala Ready-to-Lead Training graduates. If you’ve taken a Strala 200+Hour Ready-to-Lead Training, you’re in a perfect place to join this Advanced Leadership Training. Strala Intensive Training graduates. If you’ve taken a Strala Intensive Training, this program is open to you as well, and your intensive time counts toward the total practice hours. 200 hour graduates from other schools. If you’ve trained with another school but not with Strala, please contact us to talk about eligibility for the advanced course. Our Ready-to-Lead program covers more breadth and depth than other trainings, in focus areas including health and nutrition, injury and trauma, diagnosis, healing, and leadership. 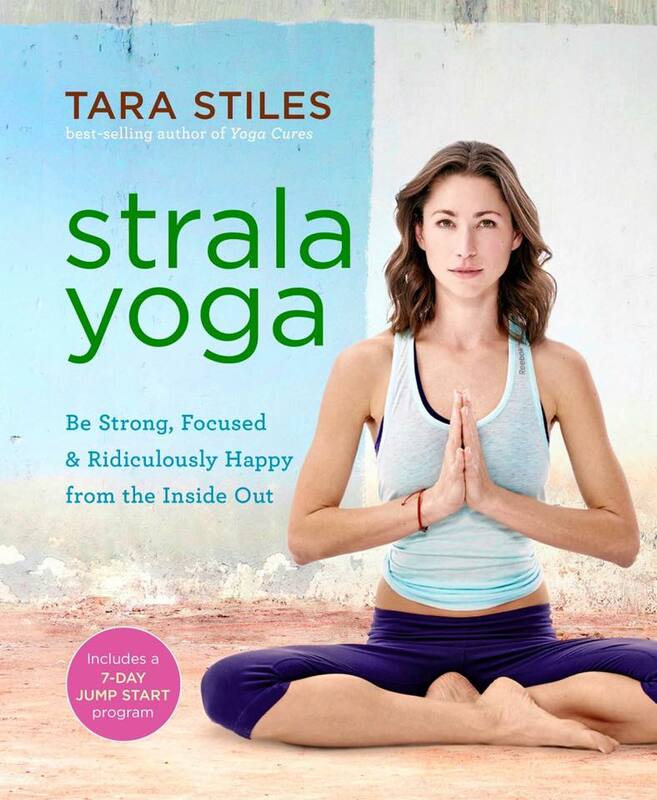 We just want to double-check that the Advanced Leadership Training is the right program for you, so please email Mike@StralaYoga.com. Helping people feel great helps you and the world. Strala Trainings are all lead entirely by the founders. Every member of our faculty has more than 20 years of practical experience, and between 4 and 10 years of advanced education at top-tier institutions, including Harvard, Oxford, and University of Edinburgh. Mike Taylor is the resident healer and co-founder at Strala. Named “Best Mover” by MindBodyGreen, he’s practiced Eastern movement and healing techniques, including tai chi, qigong, and shiatsu, for more than three decades. Sam Berlind is an Ohashiatsu teacher and practitioner living in NYC. While studying Comparative Religion and Philosophy at the University of Edinburgh in 1981, he began to practice Iyengar yoga, and continued to practice and teach yoga after moving to NYC. $1,900 USD deposit reserves your spot. The remaining amount ($2,600 for the full program, or $1,500 for two weeks) is due by July 15, 2017. We provide a Strala 300+Hour Advanced Leadership Certification, upon successful completion. Combined with our 200+Hour Ready-to-Lead Training, you graduate with a Strala 500+Hour Advanced Leadership Certification. Strala Yoga is a Registered Yoga School (RYS) with the Yoga Alliance Professionals / Yoga Alliance UK. 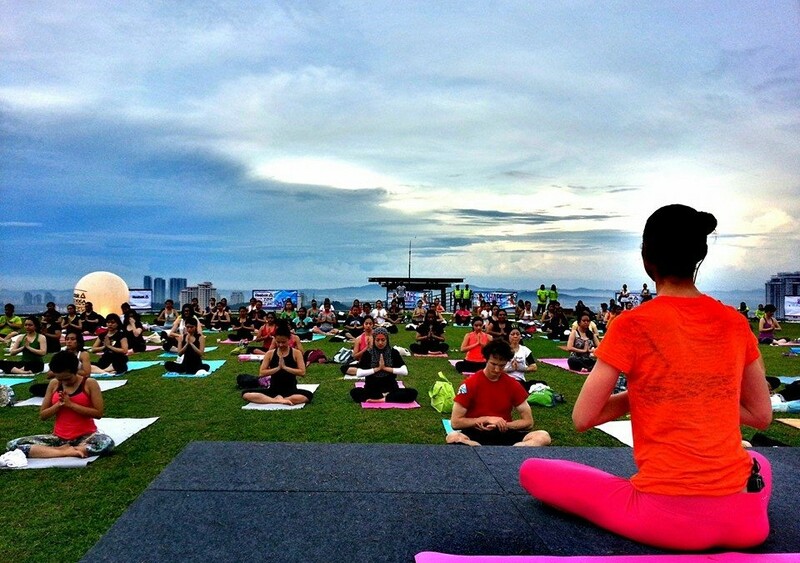 Our training program is registered by the Yoga Alliance Professionals. 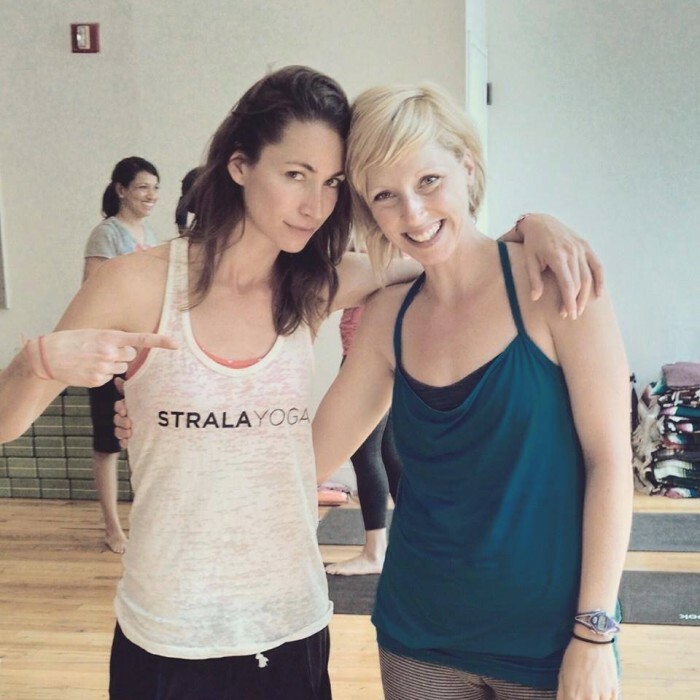 Want to learn about our Strala Intensive Training? Click here! Q: What’s the time breakdown for your 200+Hour and 300+Hour Training? A: Strala Trainings follow an adult-learning model, which combines structured and unstructured time, with focus on practical application. This works well for people’s learning process, and counts toward your total hours. In addition, each person will spend a good amount of time in classes, both with Tara and Mike, as well as online for people who don’t have every day with us. The online component can include Tara’s videos and our online training course, and this is great to do before training as preparation, and after training as ongoing review. Q: What’s the difference between your longer trainings and the Intensive Trainings? 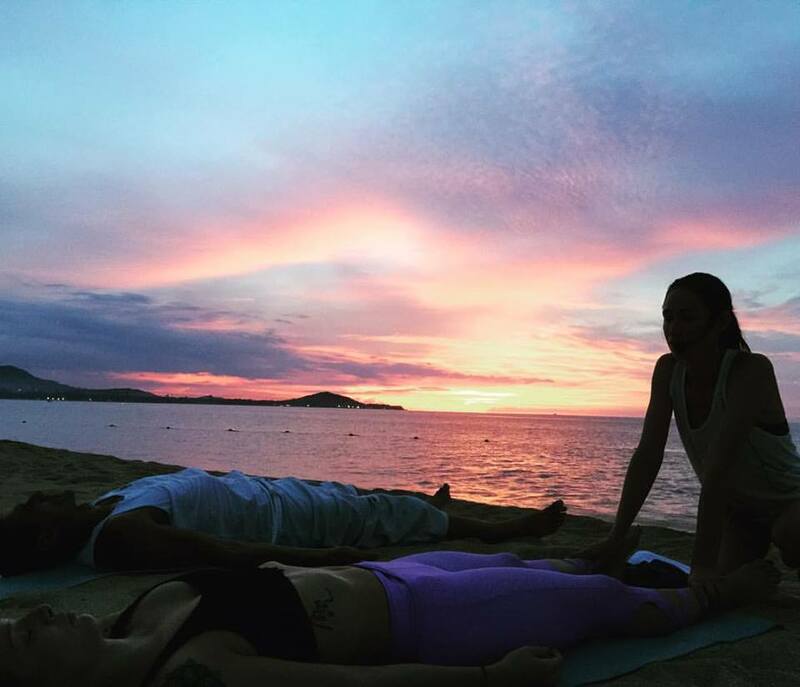 A: All Strala trainings focus on applied rather than theoretical yoga: not much time on academic study of mythology, ancient texts or languages – and substantial focus on hands-on direct work with leading, touch, health, and healing. The main difference is we have a good deal more time in the longer trainings to cover these topics in depth. You also have a lot more time to gain competence (and confidence) through practice and feedback with the group.